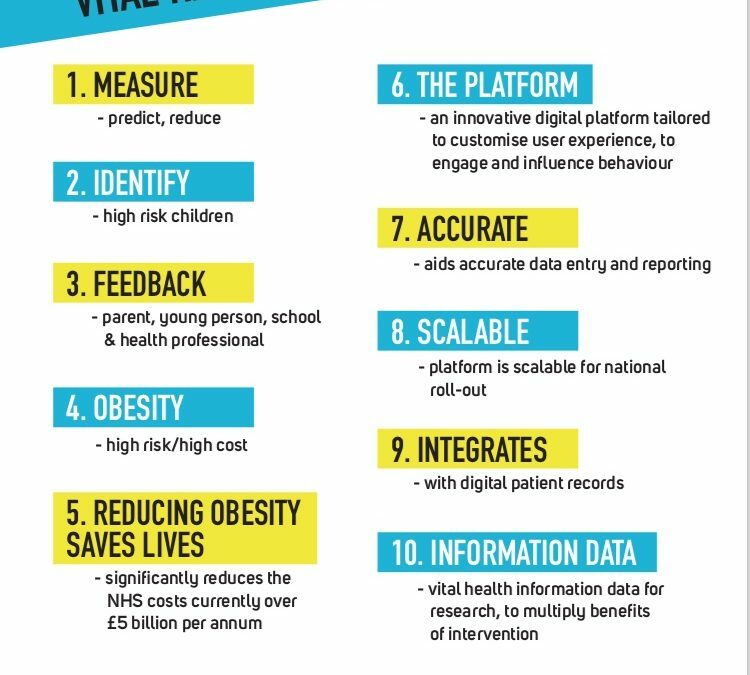 IQ Digital Health wins Health Innovation Manchester Award to help combat Child Obesity, through the development of an innovative digital platform. The award will support the development of a innovative digital platform to significantly enhance the identification, and reduce the incidence of obesity in children and young people, with the collection of evidence based data. The main objective of the project is to develop a web based platform that is scalable, and accessible by multiple users including patients, carers, health care professionals, academic, clinical and data scientists. Government statistics show that nearly a third of children aged 2 to 15 are overweight or obese and younger generations are becoming obese at earlier ages and staying obese for longer. Obese adults are seven times more likely to become a type 2 diabetic than adults of a healthy weight which may cause blindness or limb amputation. Obese people are more likely to get physical health conditions like heart disease, they are also more likely to be living with conditions like depression. The innovation will create a platform that not only helps to accurately identify and reach those most at risk, but engages with them and their parents on an ongoing basis, to educate and motivate to bring about significant and sustainable changes in behaviour. ‘We are delighted to have won the Health Innovation Manchester Momentum award and to be working with the team at MFT, to build on and extend their groundbreaking work. iQ Digital Health specialises in the development of innovative digital solutions for the healthcare sector. Please contact iQ Media for more information and for a discussion on how we could assist with your digital health requirement.